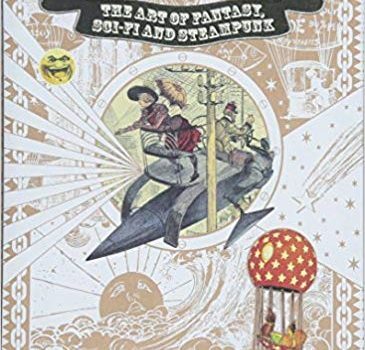 The Art of Fantasy, Sci-Fi and Steampunk is a delightful book crammed full of beautiful im­ages and surprising artistic connections that will take you on an art history journey through the precursors of fantasy, sci-fi, and steampunk art. It’s a pleasure to flip through, dip into, and use for inspiration. At the very least, you’ll want to make a list of some of the artists featured here to investigate further. At 360 pages, this book is jam-packed with artwork. It is also, for a softcover book, a bit pricey at $49.95. The unusual format – softcover with dust jacket presentation – is standard for this Japanese publisher and does not diminish the book’s good-to-excellent production values. Despite the matte paper, the color reproduction is excellent for the most part, and most of the out-of-copyright art is featured at good size, although some of the details suffer in images such as “Little Nemo in Slumberland”. Another problem emerges with two-page spreads: J.M.W. “Turner’s Rain, Steam and Speed: The Great Western Railway” suffers from being split across two pages. However, most of the art is accessible and fascinating in its variety. Fine artists mix with illustrators and genre artists. Among them are Gustave Dore, Honore Daumier, Gustave Courbet, Ilya Repin, Caspar David Friedrich, Eugène Delacroix, William Heath Robinson, Richard Dadd, Winsor McCay, Charles Robinson, Théodore Géricault, William Blake, J.M. Turner, Arthur Rackham, Albert Ro­bida, and J.J. Grandville. This crammed-full collection links modern fantastic art to ancestors in the 19th-century schools of Romanticism, Pre-Raphaelite, Art Nouveau, and the early 20th-century movements of Art Deco, Comics Art, and popular illustration. 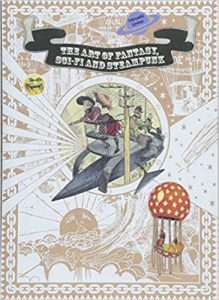 The engravings, illustrations, paintings, comic strips, and book covers are reproduced here to good effect, although some of the elaborate gold-bedecked covers for the works of Jules Verne produced by the publisher Hetzel in the early years of the 20th-century misfire. The Japanese text appears on colorful pages filled with steampunk motifs, with the English translation set at the bottom of the page in a smaller typeface. Editor Hiroshi Unno has helmed many retro­spective art books for PIE International featuring artwork from 19th- and early 20th-century artists. Among the many titles: The Art of Decadence: European Fantasy Art of the Fin-de-Siecle, Avant-Garde Graphics in Russia, The World of Mucha, and William Morris: Father of Modern Design and Pattern. The wealth of artwork and information here must be applauded. 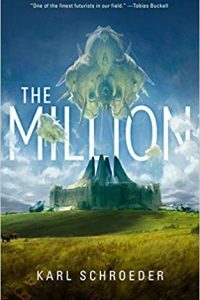 If this book leads readers to search out other reproductions and connections, it will have done its job. Lovers of fantastic art and its antecedents will enjoy all the eye candy on view.